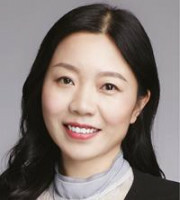 Chumeng (Jessica) Xu is partner and head of the trademark team at JunHe LLP, one of the oldest and largest law firms in China. She worked at CCPIT Patent and Trademark Law Office from 1997 to 2013 and was deputy director of the trademark division. She has extensive experience in trademark litigation, prosecution and enforcement and possesses a good understanding of Chinese law relating to trademarks, copyright and anti-unfair competition. Her clients hail from various sectors including motor manufacturing, hotel, Internet and technology, luxury goods, media, entertainment, food and beverage, as well as charitable organisations and retail and healthcare companies. representative cases of the year by the China Trademark Association. the China chapter in The International Comparative Legal Guide to Trademarks (2012 and 2013). Ms Xu has been ranked as Asia’s leading trademark lawyer by Chambers and Partners and has been ranked as a leading trademark practitioner (Tier 1) by the WTR 1000 since 2011. She was also ranked as an IP Star by Managing Intellectual Property in 2015, 2016, 2017 and 2018 and among the Asian Legal Business (ALB) China Top 15 IP Lawyers for 2015 and 2017. In 2018, Ms Xu won an ALB Top 15 Chinese Female Lawyers award.